Discounted day rate for PowerScore students: Self parking $20.00 daily. Subject to availability. Subject to change. Students are responsible for any accrued parking fees (if applicable). The PowerScore Full-Length LSAT Course Book Set (four books). Shipped prior to course start date. Does this course use the LSAT Bibles? Full access granted immediately upon enrollment. This is where you will access your On Demand videos, lesson and homework explanations, supplemental test questions, and practice tests. The Online Student Center has all the tools you need to take your score to the next level. 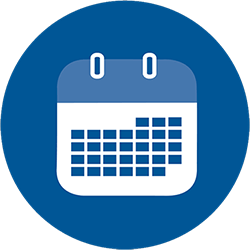 For more information about course features, please click here. 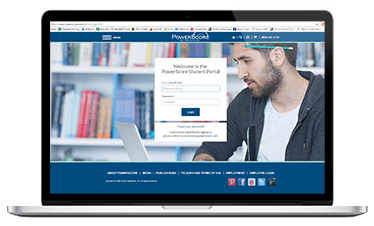 You'll attend twenty classroom sessions in the PowerScore Full-Length LSAT Course: twelve lecture sessions, four fully-proctored practice LSATs, three practice test reviews, and one Challenge Review session. Each Lesson and Review is divided into multiple sections dedicated to different concepts, with a short break in the middle to keep you fresh. You'll receive a set of 4 course books, which have been specially designed to present the ideas in the course in the most efficient and clear manner possible. The following syllabus is used in our Full-Length LSAT Course and will give you a sneak peak at exactly what you'll cover in each class. Please note: IOS, Android, Chrome OS, and other mobile operating systems are not supported. For a better audio signal, we recommend using external speakers. Chrome OS and Chromebooks are not supported for use with Blackboard Collaborate web conferencing. These are not the LSAT Bibles. The four PowerScore Full-Length Course Books are specially designed to accompany the Full-Length Course lessons. These course books cover the same concepts as the Bibles, but contain much more hands-on practice material than the Bibles in the form of drills, homework, and official PrepTest questions. The course books are exclusive materials provided only to students who enroll in our course and are not for sale separately.